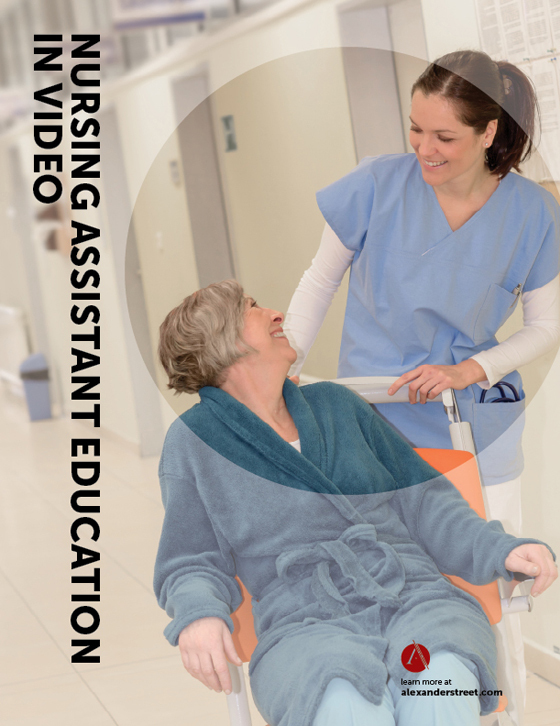 Available for the first time online, Nursing Assistant Education in Video presents over 60 full-length training videos designed specifically for nursing assistants. Each title features leading industry experts providing hands-on demonstrations and step-by-step instructions in all of the need-to-know areas of nursing assistance. Much like its award-winning sister product Nursing Education in Video the high quality content within Nursing Assistant Education in Video is the result of a partnership with Medcom Inc., the world's most respected producer of nursing education videos.